Because of his prolonged detention, Lopez’s case attracted heavy media attention and became the focal point of a debate on the indefinite detention of undocumented immigrants. Advocates argue that it violates immigrants’ constitutional rights and makes it extremely difficult for them to properly fight their cases. Community members across the Bay Area rallied for Lopez’s release for more than a year, often protesting ahead of his court hearings. . . .
A Richmond construction worker who has been detained for nearly two years while fighting deportation will get a bond hearing and a new chance for freedom, a San Francisco federal judge ruled on Tuesday. . . Judges get the message as well, she and other attorneys said. Supporters of a Richmond man who has been jailed by U.S. Immigration and Customs Enforcement for more than a year and a half rallied Friday outside the U.S. Federal Building ahead of a hearing to seek his release. Attorneys for Raul Lopez, 46, have petitioned his case to the Federal District Court, in hopes of ending his detention. San Francisco, CA— Attorneys with the Deportation Defense and Legal Advocacy Program of Dolores Street Community Services (“Dolores Street”) announced the filing of a temporary restraining order in the habeas corpus petition of Raul Lopez Reyes, to request his immediate release from detention. The federal magistrate judge has set a hearing on Raul’s urgent request for December 21, 2018 at 11:00 AM at 450 Golden Gate Ave, Courtroom C, 15th Floor. Dolores Street has been working closely on this case with the California Immigrant Youth Justice Alliance (CIYJA), the Interfaith Movement for Human Integrity (IM4HI), and the Contra Costa Immigrant Rights Alliance (CCIRA), organizations that have brought Raul’s case to the attention of the public and highlighted the impact of the immigration detention system on our communities. This year, ICE shocked the conscience of the nation by streamlining the separation of thousands of children and families at the border until a federal district court put a stop to it. Less national attention was given to the children already in the country, including many U.S. citizens, who continue to be separated by their parents through ICE’s unchecked immigration detention system. This holiday season, at a time when many of us are coming together to spend time with our families and love ones, there are families like Raul's family that remain separated by a cruel and unjust immigration system. Raul, who has lived in the country for nearly three decades, has been separated from his family since March 22, 2017. This June, his brave U.S. citizen daughter protested this injustice by celebrating her quinceñeara outside a local detention facility in Richmond, CA. Instead of releasing Raul, less than two weeks later, ICE transferred him thousands of miles away to Colorado, away from his family, and in tension with ICE’s own policies. Such transfers routinely occur with no public transparency. 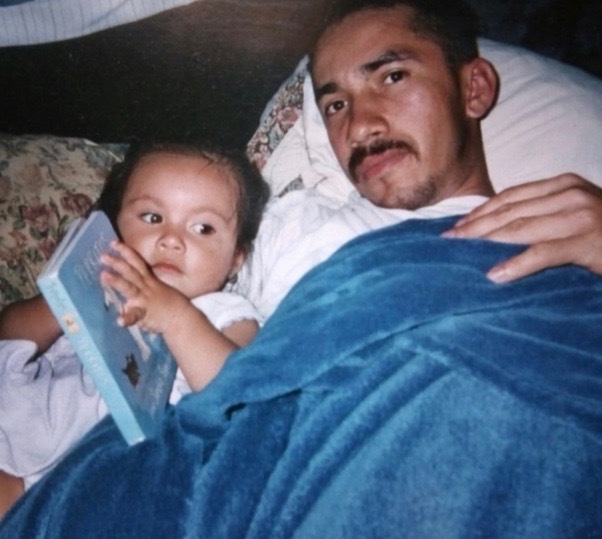 Since that time, ICE has continued to refuse to return Raul and has also denied his request for a bond hearing, despite the fact that his case – which has already lasted over a decade – has recently been remanded from the Ninth Circuit and could continue to drag on for years. The Interfaith Movement has played a big role in organizing rallies and providing support for detained undocumented immigrants. At present, it is highlighting [Dolores Street client] Raul Lopez, a Guatemalan national who has lived in the United States for decades and has been separated from his wife and four children for more than a year. At a March 13 telebriefing organized by Ethnic Media Services of San Francisco, Sally Kinoshita of the Immigration Legal Resource Center said it is possible that DACA recipients have options under immigration law that could help some people get access to green cards. “According to a recent study, the estimates are that about 20 to 25 percent of the undocumented population is eligible for one of the existing immigration options,” Kinoshita said. . . .John O’Connell High School locked its doors and posted security outside, according to a source. Dolores Street, along with Legal Services for Children and the ACLU secured release from detention for detained juveniles in special hearings pursuant to the ACLU-NC’s case, Saravia v. Sessions (Due Process for Immigrant Youth. "Civil rights advocates are calling for swift sanctions against a San Francisco police officer after an NBC Bay Area hidden camera investigation showed the officer threatening to deport a group of minorities. Friday, the FREE SF Coalition called for Police Chief William Scott to discipline officer Joshua Fry alleging the officer violated San Francisco’s Sanctuary City policy. Francisco Ugarte, who founded DSCS's Deportation Defense and Legal Advocacy Program, will be the managing attorney of the Public Defender's new Immigration Unit. Our program looks forward to continuing to collaborate with the unit in responding to the overwhelming need for representation in the San Francisco Immigration Court. "Dennis Herrera, San Francisco’s City Attorney says sanctuary policies make all of the city’s residents safer." DSCS Client, Eva: "I want to tell all those women who have been violated by those men, yes, we can continue to stand up for ourselves because this will always be a sanctuary city." "Anyone who sees Immigration and Customs Enforcement (ICE) activity in San Francisco can call (415) 200-1548 at any time. A call to the hotline initiates a process that includes nonprofits sending their own staff to the scene of the report to verify what happened, remind people of their rights, and if necessary, provide legal support." " 'We want to let everyone here in San Francisco know that we have a system in place ready to respond, that they’re not alone, and that we’re a sanctuary city that cares about our immigrant population,' [Dolores Street's Marisela] Esparza said." "It is essential that we prioritize this basic, due-process protection for San Franciscans facing deportation. Not only do they lose when they are deported, San Francisco loses as well." Op-Ed Authors: Jeff Adachi is the San Francisco Public Defender. Niloufar Khonsari is the executive director of Pangea Legal Services. Ana Herrera is the managing immigration attorney with Dolores Street Community Services. Laura Sanchez is the director of CARACEN Immigration Legal Program. Ana Camila Herrera, Managing Attorney, Dolores Street Community Services, a member of the San Francisco Immigration Legal Defense Collaborative, shares how renewed funding by the city for the SFILDC will help provide representation to unaccompanied minors and families in immigration court.